Screen 1: The executive login screen. 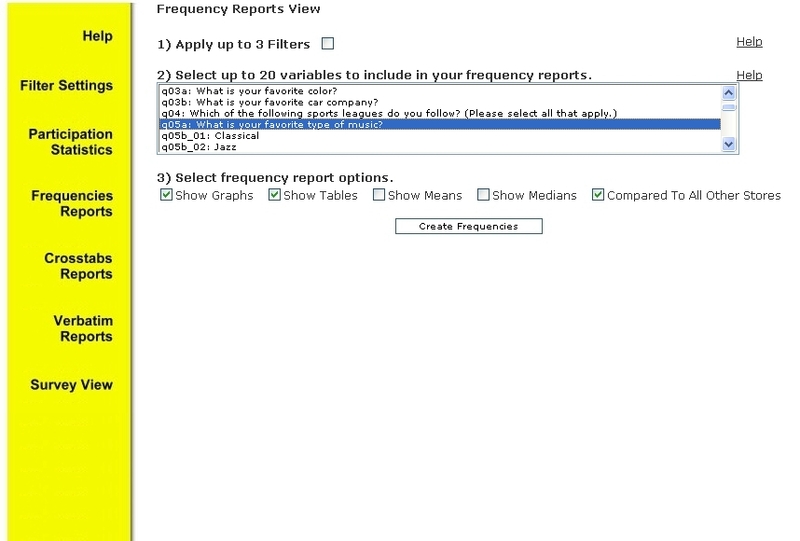 Screen 2: The reporting desktop; a starting point. Screen 3: Analysis starts. 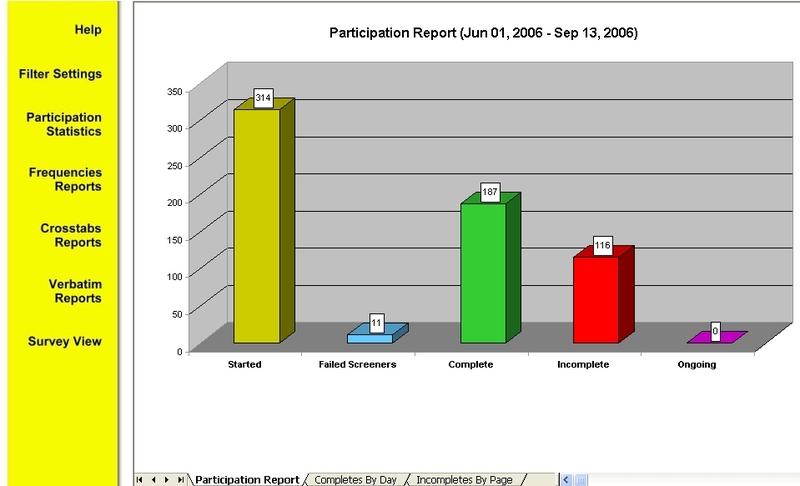 This is an overview of participation in the survey. 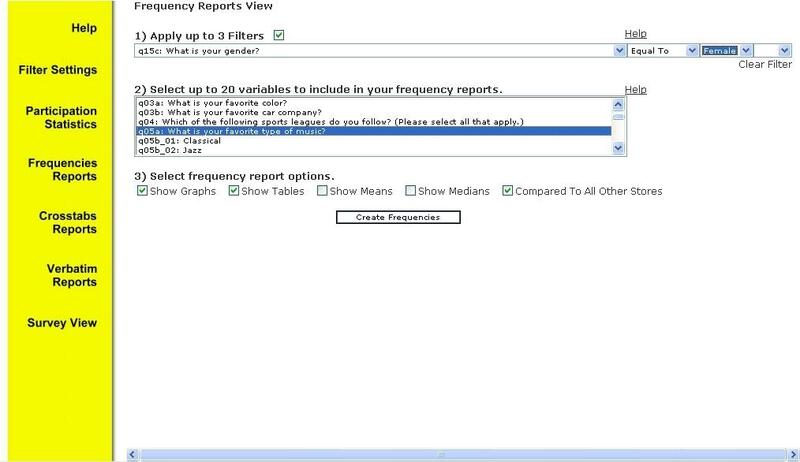 Screen 4: Primary filter. 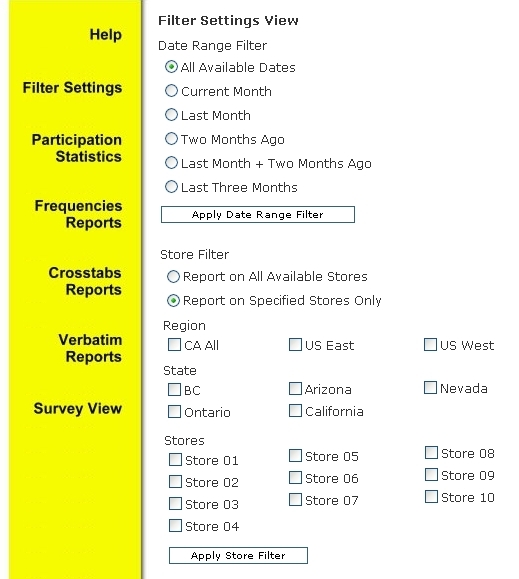 Filter your data by time period or store. 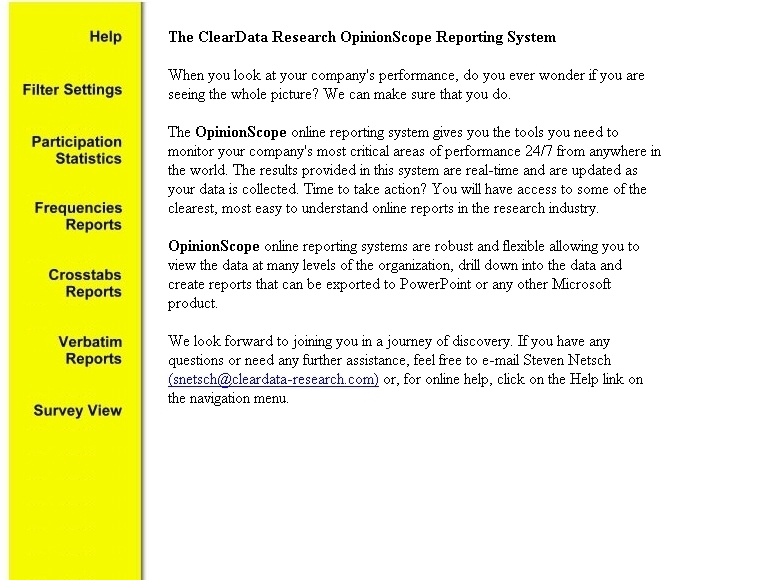 Screen 5: Data overview. Choose the question you would like to analyze. 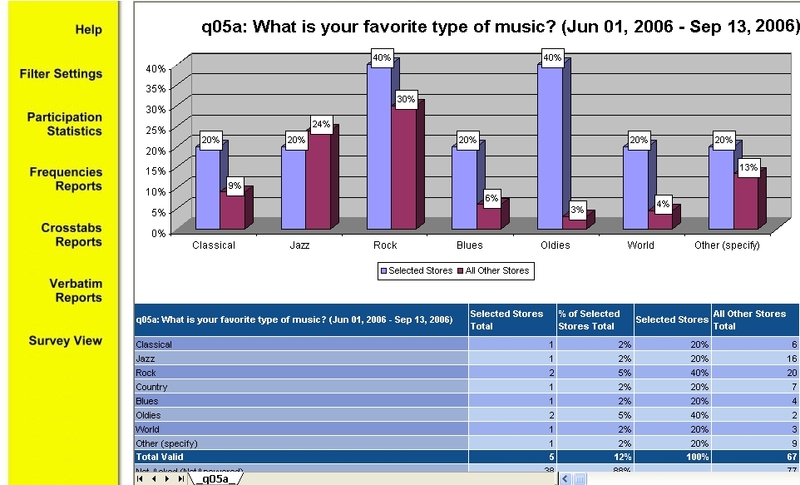 Screen 6: Results overview. "What is your favorite type of music?" Screen 7: Apply a filter by gender = Female. Screen 8: Results overview. 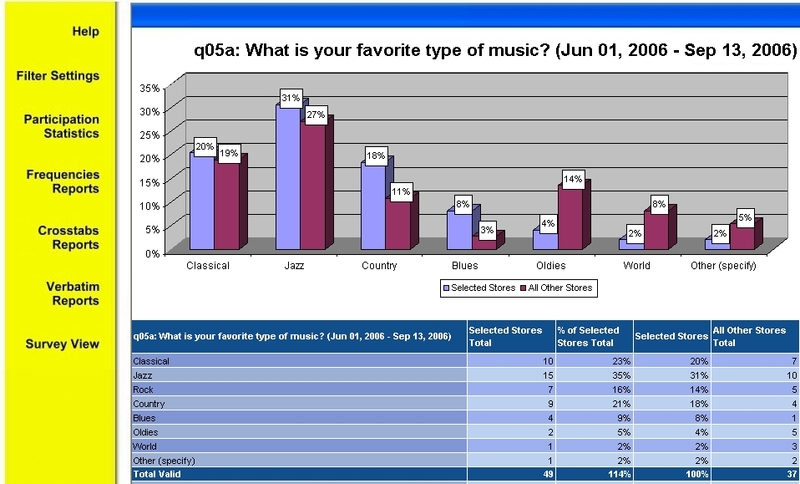 Female response to "What is your favorite type of music?" 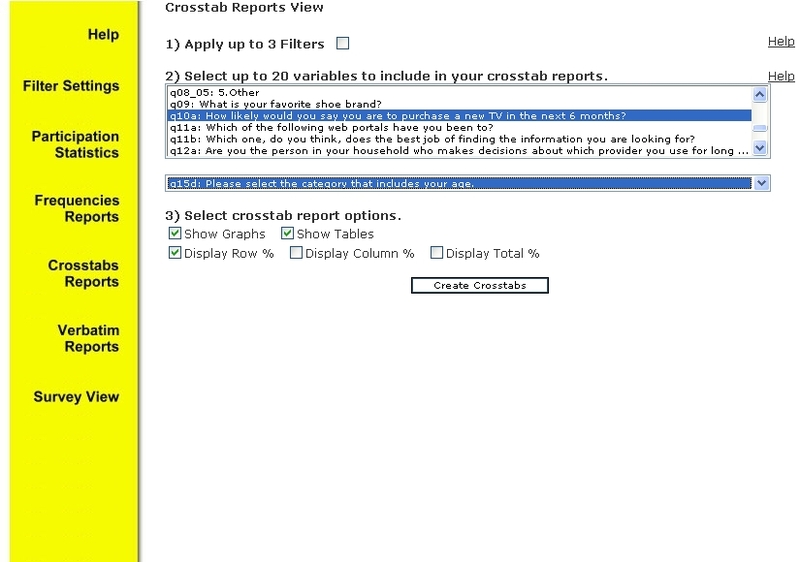 Screen 9: Detailed analysis (crosstabs). Cross purchase behavior by age. 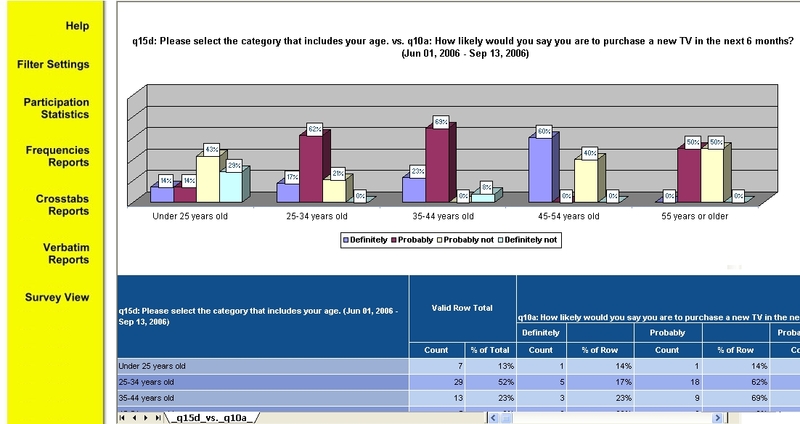 Screen 10: Graphing purchase behavior by age group. See the 45-54 year old age band. 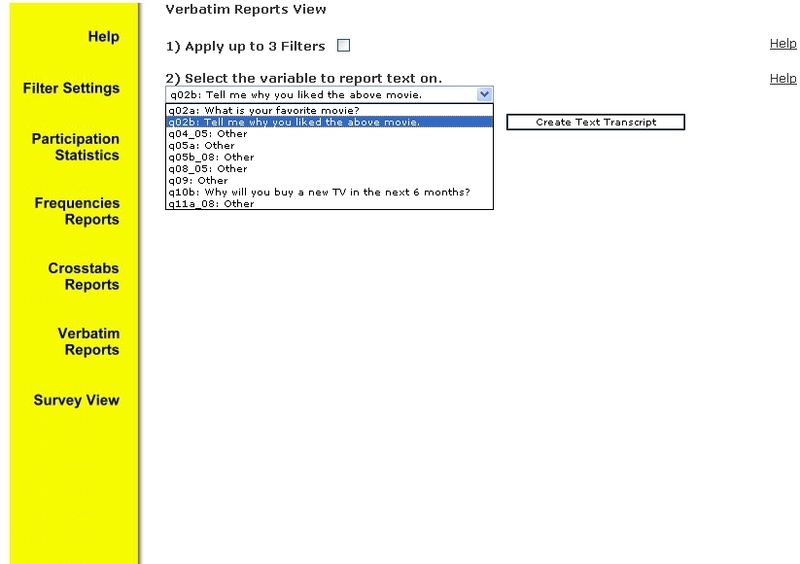 Screen 11: Select a verbatims report to see customers' responses in their own words. Screen 12: Feedback in your customers' own words. Screen 13: Do you have a presentation to do? 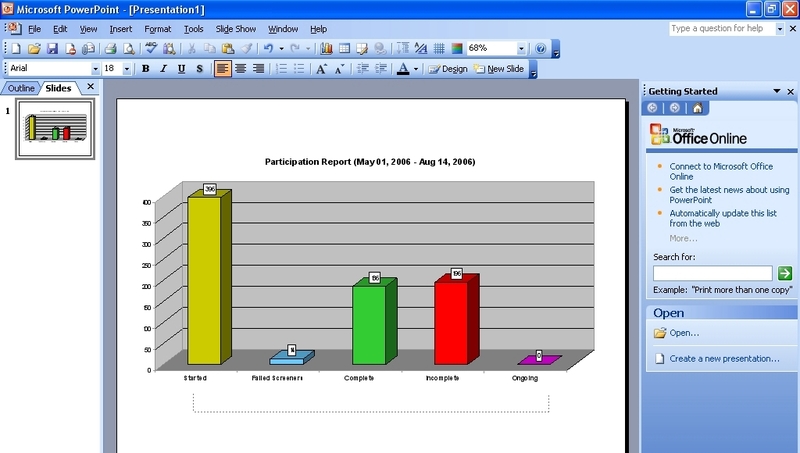 Export any graph to Microsoft PowerPoint. 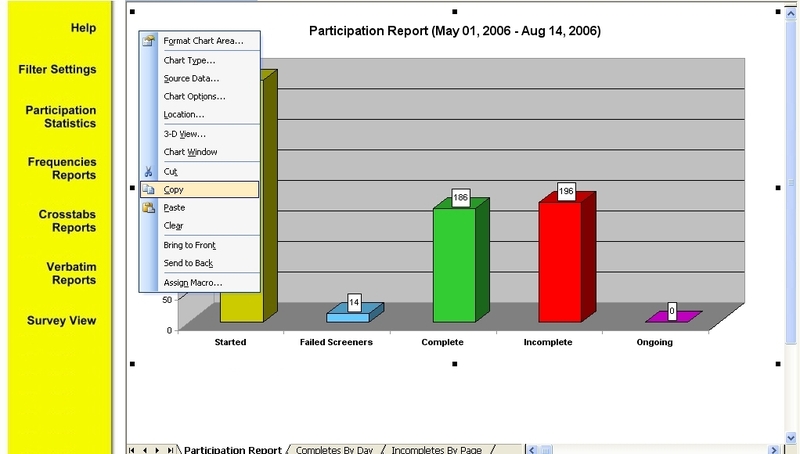 Screen 14: Graph exported to Microsoft PowerPoint. 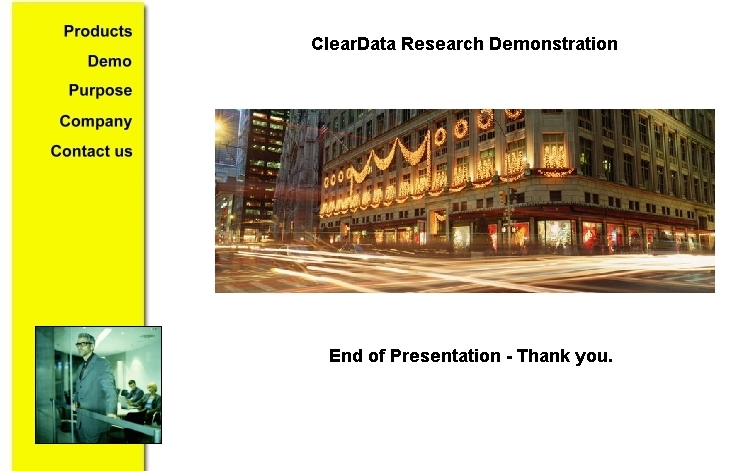 Screen 15: End of presentation. 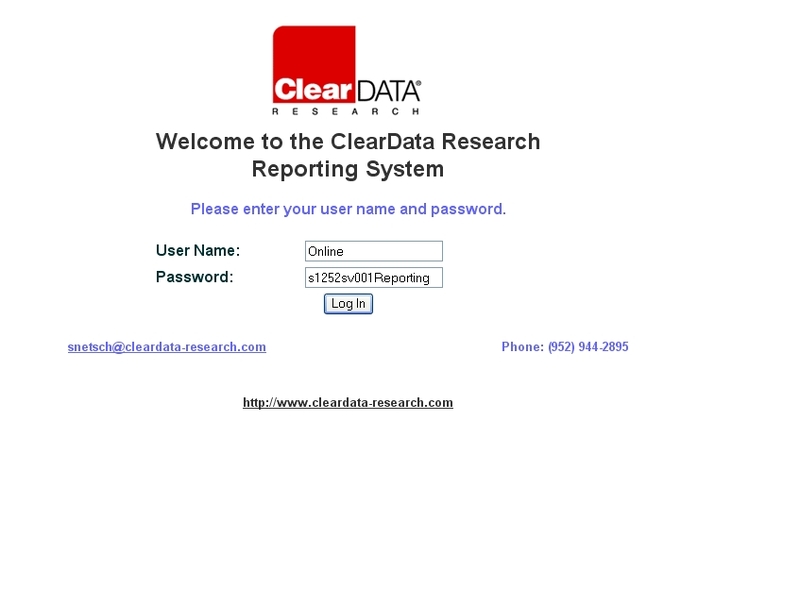 Click the ClearData logo to return to home page.